Seventeen-year-old Lennie Walker, bookworm and band geek, plays second clarinet and spends her time tucked safely and happily in the shadow of her fiery older sister, Bailey. But when Bailey dies abruptly, Lennie is catapulted to center stage of her own life - and, despite her nonexistent history with boys, suddenly finds herself struggling to balance two. Toby was Bailey's boyfriend; his grief mirrors Lennie's own. Joe is the new boy in town, a transplant from Paris whose nearly magical grin is matched only by his musical talent. For Lennie, they're the sun and the moon; one boy takes her out of her sorrow, the other comforts her in it. But just like their celestial counterparts, they can't collide without the whole wide world exploding. I honestly believe I could read The Sky is Everywhere every day for the rest of my life and never tire of it. I sincerely love books that affect me in this way, that captivate me, engage me, truly and fully make me feel like my heart may explode. The best part is that I’m not alone in this. When I tweeted about reading The Sky is Everywhere, I was inundated with responses of adoration: how it’s made of amazing, how it makes their hearts feel explode-y too. I don’t know how Jandy Nelson does it (ahem, pure talent), but she manages to create a story that’s both extremely personal and entirely accessible. Sweet Something of Some Place, go read this. The Sky is Everywhere is the story of Lennie Walker. She’s a clarinetist, a lasagna maker, an avid fan of Wuthering Heights. She’s also without her beloved sister, Bailey, who died suddenly four weeks prior. Since then, Lennie’s been drifting through life, writing letters to no one on scraps of paper and walls and trees and shoes just to try to deal with her grief. She quit her private clarinet lessons, purposely blew her first chair audition, and had generally stopped allowing herself to feel anything. She shares her grief with Toby, Bailey’s boyfriend, which manifests itself in frenzied moments of passion that she doesn’t understand. Also assisting in her confusion is the new manic pixie musical genius dream boy Joe Fontaine, who comes by her house every morning to play/experience music, help Gram rid the house of unlucky omens, provide uncle Big with bugs and entertainment, and attempt to crack the shell that is Lennie. As she falls deeper in epic giddiness with Joe and deeper into uncontrollable grief-passion with Toby and deeper into a mystery Bailey had started, her life spirals in a way she can’t stop. And she’s the only one who can figure herself out. Jandy Nelson… how do you do it? (Again, pure talent.) Such gorgeous verbal illustrations of simple, mundane things. Even more gorgeous descriptions of complex, extraordinary things. Stylistic, realistic, melt-off-your-tongue words. It practically sparkles before your very eyes. Let’s take, for instance, the very first mention of Joe Fontaine. “The guy looks unabashedly jack-o’-lantern happy, which couldn’t be more foreign to the sullen demeanor most of us strove to perfect. He has scores of messy brown curls that flop every which way and eyelashes so spider-leg long and think that when he blinks he looks like he’s batting his bright green eyes right at you.” Don’t you love him already? After two sentences? Lennie’s words encapsulate the amazing highs of first love and the gut-wrenching lows of terrible loss. She is pretty much a hot damn mess, but she’s so boldly a mess that you can’t help but be on her side. Her voice is perfection- raw and painful and hysterical and so very real. She’s struggling hard without Bailey, and her body and brain don’t seem to be communicating at all. You’re hanging on her every word. Of course, it wouldn’t be a review by me if I didn’t mention how I adore the fact that she plays clarinet! The Sky is Everywhere is un-put-down-able. I finished it a while ago, and I can’t bring myself to take it out of my bag. I cannot say enough great things about it. It is a must-read. I just read this a few weeks ago as well, and I felt the exact same way! 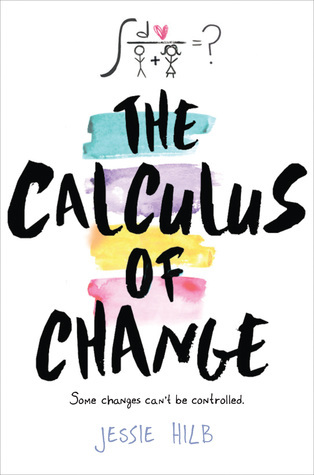 I'll admit that I was a little skeptical of all the rave reviews and comments I'd read from other bloggers about this book... but I'm happy to say that I was proved wrong. This book was so freaking good. I devoured it and then forced three other people to read it immediately (yes, I'm a book bully). "Lennie's words encapsulate the amazing highs of first love and the gut-wrenching lows of terrible loss. She is pretty much a hot damn mess, but she's so boldly a mess that you can't help but be on her side." Exactly. Lennie's all over the place, which makes for an incredibly exciting read. I don't know if I've ever been so drawn to a main character so immediately in any other book I've read. Anyway. I'm rambling on... sorry about that. 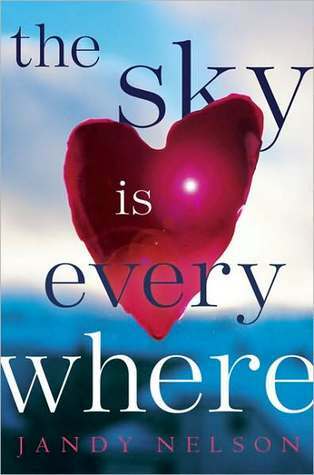 The Sky is Everywhere is such a good book. I'm glad you enjoyed it! I fullheartedly agree with you! It's totally un-put-down-able. I agree! It's such a great book. I feel the same way...I could read it over and over. This book is one of my all-time favorites! I'm glad you loved it and great review! River Road gets a cover!